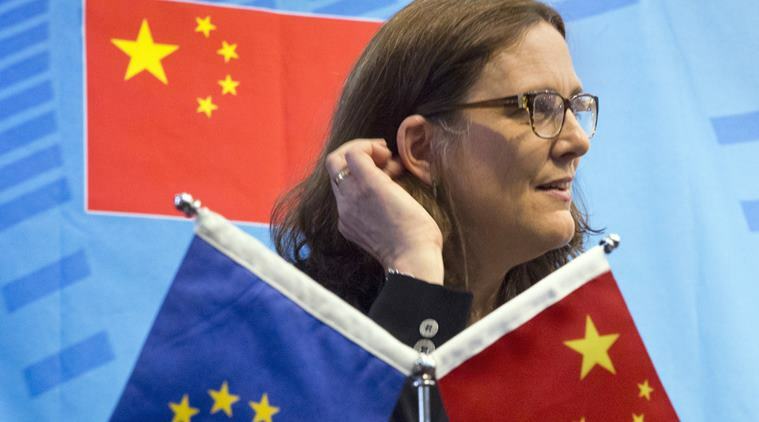 Export-oriented Germany, which has been the keenest to avoid a trade conflict, described the EU leaders' proposals as a first step and forecast "intensive discussion" on Tuesday to find a deal acceptable to both Europe and US. Brussels: Europe’s proposals to open its markets wider to US products including cars appear not to have persuaded Washington to lift the threat of import tariffs on EU steel and aluminium, the bloc’s trade chief said on Tuesday. US President Donald Trump has set tariffs of 25 percent on incoming steel and 10 percent on aluminium on grounds of national security but has granted EU producers an exemption until June 1 pending the outcome of talks. EU leaders last week agreed on four areas the bloc would be willing to discuss, including easier access for industrial products, but only on condition that the exemption is made permanent. So far, the United States has given permanent metals tariff exemptions to Australia, Argentina, Brazil and South Korea, but in each case set import quotas. Malmstrom said she could not imagine the EU accepting quotas unless they were at levels of exports in recent years. “But we are under the impression that somehow they want to limit steel to the US, aluminium as well,” she said.